health and well-being. Engagement with nearby natural places also provides restoration from mental fatigue and support for more resilient and cooperative behavior. 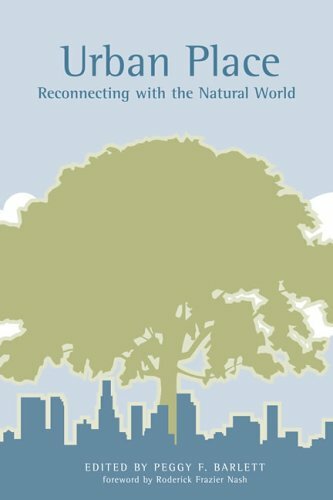 Aspects of stronger community life are fostered by access to nature, suggesting that there are significant social as well as physical and psychological benefits from connection with the natural world.This volume brings together research from anthropology, sociology, public health, psychology, and landscape architecture to highlight how awareness of locale and a meaningful renewal of attachment with the earth are connected to delight in learning about nature as well as to civic action and new forms of community. Community garden coalitions, organic market advocates, and greenspace preservationists resist the power of global forces, enacting visions of a different future. Their creative efforts tell a story of a constructive and dynamic middle ground between private plots and public action, between human health and ecosystem health, betweenindividual attachment and urban sustainability. Carolyn Raffensperger is an environmental lawyer and the founding director of the Science and Environmental Health Network. Roderick Frazier Nash is professor emeritus of history and environmental studies at the University of California Santa Barbara.